Download the Bali Hai Golf Club mobile app to enhance your experience. Mobile apps contain many features like scorecard, GPS, tee times, news, deals and more! Click on the icons for more information and free download. When you come to Las Vegas, you don't expect to enjoy the same recreational releases you can experience at home. You expect the exceptional, including Las Vegas-style gaming, multi-million dollar resorts, lavish and risqué stage productions and a collection of world class dining. 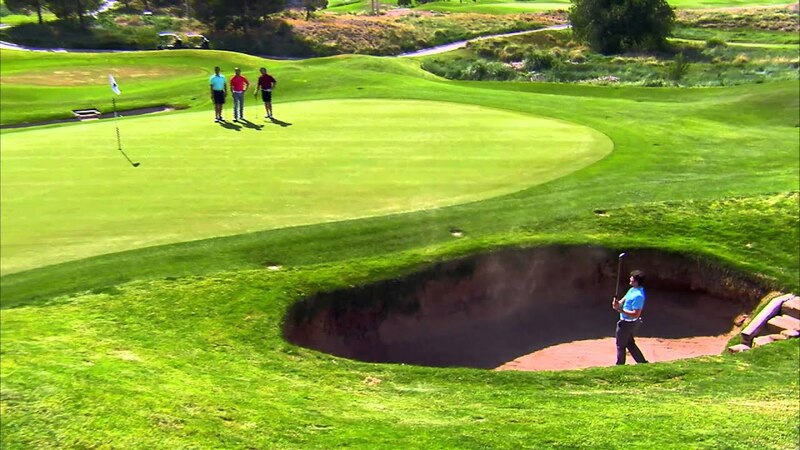 And when you book your Las Vegas golf package, why should you expect any less from your Las Vegas golf experience? Indulge yourself on one of the Top Resort Courses in America and the only championship Las Vegas golf course right on the famed Las Vegas Strip. Treat yourself and your game to the Bali Hai Golf Club. You deserve it. This is the Las Vegas Golf Club that transports you from the hustle and bustle of the casino floor to 7,002 yards of tropical golfer's paradise. Within seconds of entering the property, yet with the skyline of the Strip still in sight, you will feel the mood and scenery change into the tranquility and beauty of a south pacific resort. Summer/Winter weekday rates from $89. Head South on Las Vegas Blvd. Entrance is just past Russell Rd. on the Right. Follow signs to 215 West. Exit Las Vegas Blvd. , turn Right. Entrance is 1.5 miles on the Left. Follow signs to I-15 South (towards L.A.). Exit Russell Rd. and turn Left at the light. Go to Las Vegas Blvd. and turn Right. Entrance is 300 yards on the Right. Let Us Make Your Next Golf Event a Stress-Free Success! Our event specialists are ready to make your dream event a reality! To get started, contact Jody Niemann at (702) 450-8007 to receive pricing and a proposed schedule for your outing with 16 or more players. Please allow approximately 24 hours for inquiries. Through our partnership with MGM Resorts International we're able to offer special rates to our guests. Please call us at 877-975-6898 to book golf and room accommodations in one call. We have a full bar and restaurant onsite serving American and Asian Fusion, Cili Restaurant. 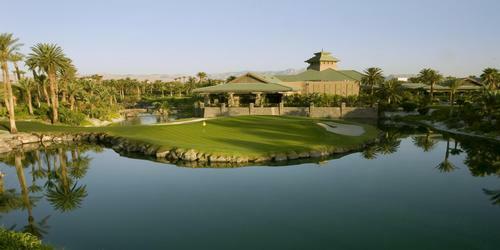 Watch the Bali Hai Golf Club Video. 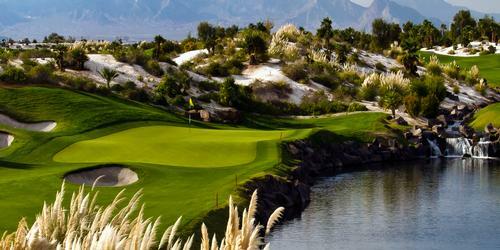 Watch the Bali Hai, Royal Links And Desert Pines Video. Sin City or Golf City? This profile was last updated on 02/01/2019 and has been viewed 18,324 times.